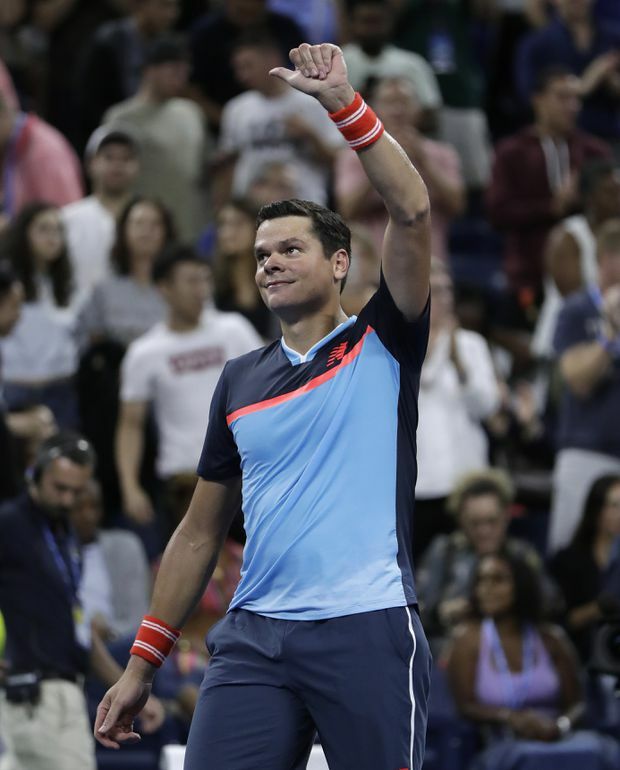 Milos Raonic booked his ticket into the fourth round of the U.S. Open on Friday with a surprisingly easy 7-6 (8), 6-4, 6-3 victory over long-time nemesis Stan Wawrinka of Switzerland. Raonic had only victory in five previous meetings with Wawrinka. Raonic, of Thornhill, Ont., will face American John Isner next in the Round of 16. The match lasted a little more than two hours as the 27-year-old Canadian launched 14 aces and won 87 per cent of points from his first serve. Wawrinka had 29 winners, 28 unforced errors and was unable to break the hard-serving Raonic even once in the match. Wawrinka could not match his opponent’s intensity in the final two sets and paid the price for some poor shot selection. The 33-year-old is one of the best all-court players on the men’s circuit and his one-handed backhand is matched only by that of his compatriot Roger Federer in terms of elegance. The Canadian serve-and-volley specialist made sure he stayed on the front foot throughout, coming to the net behind his booming serve 37 times with a success rate of 73 percent. “I’ve got to just keep getting sharper,” added Raonic, who is seeded 25th. “I’ve got to find a way to get ahead a little earlier in the points and not get too defensive. Denis Shapovalov showed a lot of emotion on the court, but the experience and imposing serve of the six-foot-eight South African proved too much to overcome. Earlier, Shapovalov lost a hard-fought, five-set match in the third round to No. 5 seed Kevin Anderson. While Shapovalov showed a lot of emotion on the court – fist-pumping and yelling after scoring on audacious backhand shots and throwing his racket in frustration after surrendering key points – the experience and imposing serve of the six-foot-eight South African proved too much to overcome. Shapovalov battled in the fifth set when he fought off four match points en route to winning the ninth game, but Anderson held his serve to love in the deciding game to take the match. “I feel like I’ve come back here a year – from last year, it’s been a year now, and I feel like such a different player. I feel like I’ve improved so much in my game, mentally,” said Shapovalov. Anderson, losing finalist last year at Flushing Meadows, fired 11 aces and clubbed 31 winners in his second five-setter of the week after going the distance in his first-round battle with American Ryan Anderson in Monday’s heat. In cooler conditions on Friday, Anderson’s serve was, as usual, his most potent weapon, but it was his defence that proved the difference. 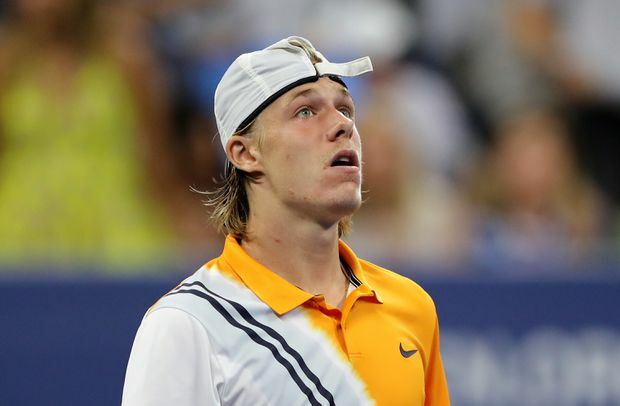 Shapovalov, the 28th seed, was the sloppier of the two and topped the unforced errors count while also stumbling into eight double faults. The roof was closed on the newly built Louis Armstrong Stadium for the first time during the second set, but it did not appear to disrupt the momentum of either player. Anderson, who has reached the final at two of the past four Grand Slams, leads his fourth-round opponent Thiem 6-1 in their head-to-head, but fell to the 24-year-old in May in the Madrid Masters semi-finals. In other men’s action on Friday, defending champion and No. 1 seed Rafael Nadal barely got through a real test in the third round, edging No. 27 seed Karen Khachanov 5-7, 7-5, 7-6 (7), 7-6 (3) in an entertaining, back-and-forth match that lasted 4 hours 23 minutes. Nadal, who is bidding for his fourth U.S. Open championship and 18th Grand Slam title over all. Also on Friday, No. 9 seed Dominic Thiem won another lengthy match to reach the fourth round, beating American Taylor Fritz 3-6, 6-3, 7-6 (5), 6-4 in a match that lasted 3 hours and 19 minutes. Each of the last two sets took more than an hour before Thiem moved on to a fourth-round matchup with Anderson, the 2017 U.S. Open runner-up.